Anyway, in case you don't know how to play this game, I'll tell you. All of the cards are turned face down at the beginning of the game, and on your turn you get to turn over two cards. If they match, you keep the cards and go again. If they don't match, you turn then both back face down and the next person in the circle has his/her turn. The point is that you can remember each picture is and make matches on your turn. The person at the end with the most matches wins. 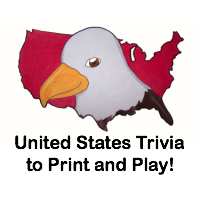 Now you can also make up your own rules to play the game, but these are the traditional rules. Now get ready to have some fun! 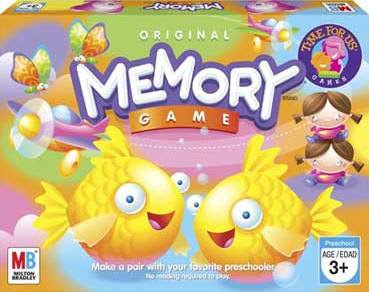 Win the Original Memory Game ! First, you need to publicly follow this blog and/or subscribe on Google Reader. Then comment here and tell me who you used to play this game with as a kid. This giveaway will close on April 21, 2010 at midnight. I used to play this game at school when I was a kid. I subscribe to your mail list. I am participating in your Monopoly game giveaway.. I did 11 icon 1. I did 11 icon 2. I did 11 icon 3. I publicly follow your blog and I used to play this game with my brother. Entered your Monopoly Game giveaway. I played this with my sister. Entered the Samsung Q2 video MP3 player giveaway. Entered the Monopoly Deal Card Game giveaway. I've never played this game before, but I hope to play it with my daughter when she's old enough. I voted for your blog on THE MOST POPULAR MOM BLOGS! I voted for your blog on TOP BABY BLOGS! I voted for your blog on I AM A TOP MOMMY BLOGGER! I voted for you on BABBLE! I'VE VOTED FOR YOU ON TOP MOMMY BLOGS! I'VE VOTED FOR YOU ON TOP BABY BLOGS! I'VE VOTED FOR YOU ON I AM A TOP MOMMY BLOGGER! I used to play this game with my daycare friends when I was a kid. Publicly following & I used to play w/ my sister Angie. i used to play this game with my twin sister! I VOTED FOR YOU ON TOP MOMMY BLOGGER!